Do you wear big size footwear? Then you will be glad to know at Big Dude Clothing we are growing the range of footwear we offer to those upto a size 17. These include trainers, shoes, boots, sandals, flips flops and trekking boots. Our range of shoes includes the ever popular brands such as POD and Base London. POD have a fantastic selection in the XL size market and Base London offer a smaller selection (but still maintain the quality) with favourites upto a size 15 in the shoes. 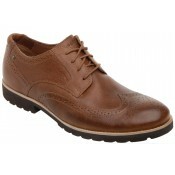 Choose from traditional lace ups to loafers in both black, brown and tan. We offer the best prices guaranteed on all big size shoes. Our trainers are very popular from the traditional white to more fashionable canvas pumps selection from the likes of Hummel. Again, we offer a great choice for those looking for trainers in size 13, 14, 15 and 16. Wheter your looking for trainers in extra large sizes for the gym or the basketball court then we have the choice for you. 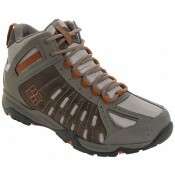 If your're the adventurous type then check out the collection of hiking boots we've got. 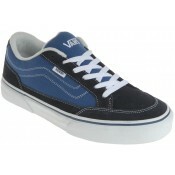 As with out other footwear these start at a size 13 upwards and go through to a size 17 (UK). The walking boots that we have on offer are built to withstand the tough terrain and provide ample support for the ankle on uneven surfaces. There is nothing that shouts style more than a classic pair of brouges! 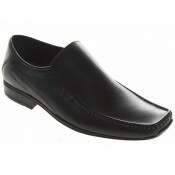 We try our best to give our customers a choice of the classic brouge in addition to the stylish shoe. Looking for the ideal holiday footwear? From the top brands such as Birkenstock sandals we can offer you the best fit with sizes upto size 15. 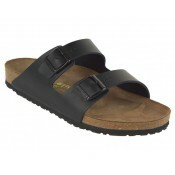 The Birkenstock are made in Germany and are the top quality sandal on the market. Both practical for walking and comfortable, sandals are a very popular choice. Looking for something a little more chilled out than a pair of sandals. 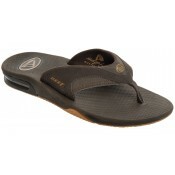 Grab a pair of our flips flops in the popular sizes of 14 and 15.